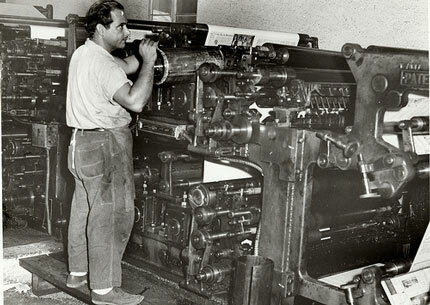 Players are going to play, and writers are going to write, but once upon a time writers depended upon an arsenal of heavy machinery and skilled technicians to bring their words to readers’ eyes. Herewith, a tribute to the backstage heroes that brought prose to the island city back when spilling coffee on your laptop meant you had to change your pants and a font could be held in the hand. All images via the Monroe County Public Library; click for full-size versions at their excellent Flickr site. 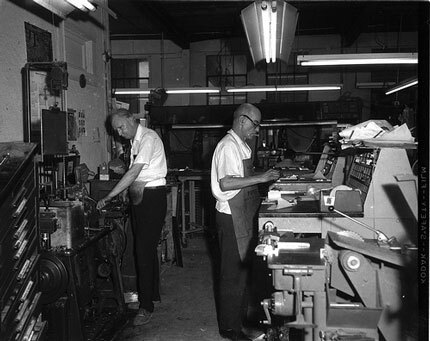 Linotype workers at the Key West Citizen, circa 1960. 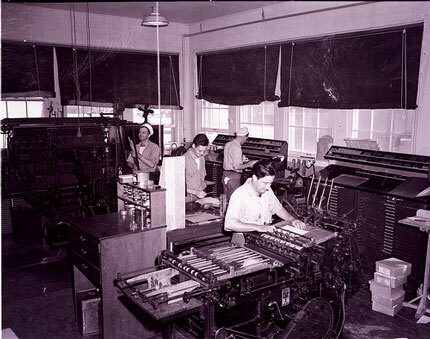 The printing office at the United States Naval Station, building 101. 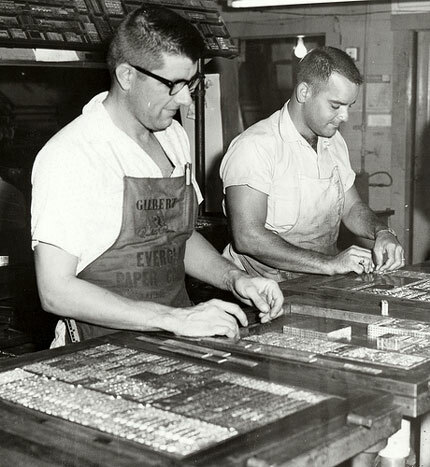 Linotype press operator at the Key West Citizen, circa 1960. 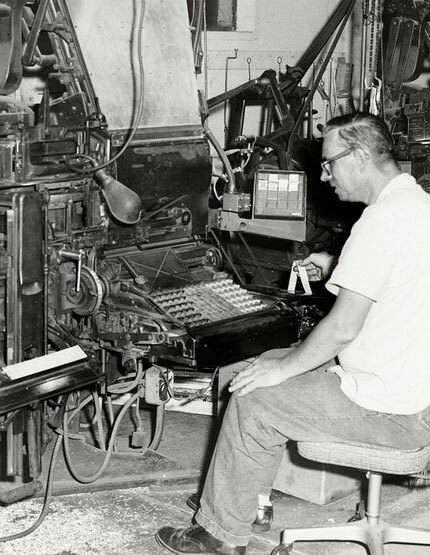 Linotype worker, Key West Citizen. Reporters at the Associated Press office established in Key West to report on Cuba after Fidel Castro came to power. 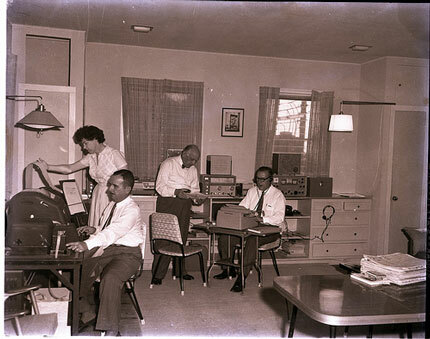 The composing room at the Key West Citizen, circa 1960. 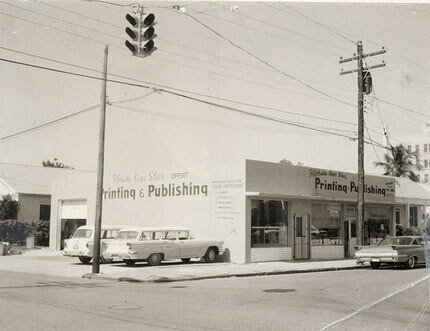 Offices of the Florida Keys Star at the corner of Fleming and Whitehead streets, 1965. 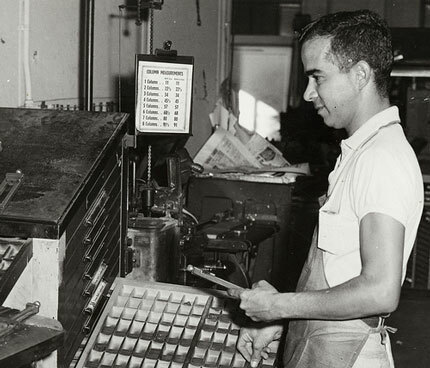 A linotype worker at the Key West Citizen, circa 1960. 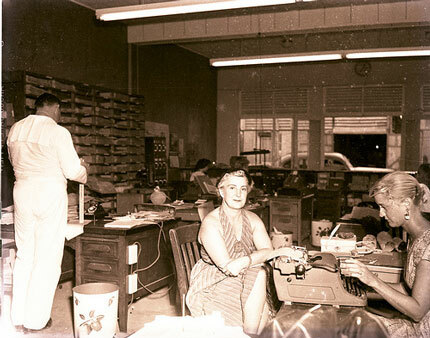 In the front offices of the Key West Citizen building on Greene St., circa 1960.